A bear-worshipping indigenous minority of northern Japan are to receive official recognition, a move that will end 140 years of enforced assimilation and discrimination. The Ainu, the original inhabitants of Hokkaido island, were conquered by Japan in the mid-1800s and forcibly assimilated into Japanese culture. The Meiji government in Tokyo declared the Ainu language illegal, forced them to adopt Japanese names, redistributed their land to mainland settlers and forced them to labour in the fishing industry. But yesterday Japan's parliament unanimously adopted a resolution to recognise the Ainu as "indigenous people that have their own language, religious and cultural identity." 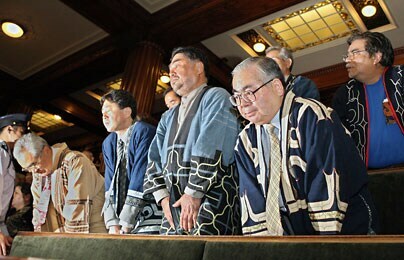 Chief Cabinet Secretary Nobutaka Machimura issued a statement saying that the government would set up a panel to draw up measures to assist the Ainu. The Ainu are one of Japan's most marginalised groups. Government estimates put the number of people with half or more Ainu ancestry at around 50,000. The century-long repression of the Ainu has all but rendered their dialect extinct. The cultural differences are also significantly at odds with mainland Japanese culture. Ainu men preferring full beards and long hair and women tattoo around their mouths for decoration. Traditional clothing is made from tree bark and the Ainu are animists – believing that everything in their rugged homeland contains a spirit. They worshipped natural landmarks and animals, especially bears. "The Ainu people have been waiting for this day for 140 years and we no longer have to be ashamed of being considered a minority group," said Mikiko Maruko, an Ainu woman attending a festival in Tokyo to mark the Diet's decision. "This is a very important day for us – and for other minorities in this country," she said. "This is the beginning of our empowerment, although this is just the start of a new phase of our struggle." Ainu elders also welcomed the announcement, which they hope will entitle them to treatment similar to the Aborigines of Australia and native Americans. "We will take seriously the historical fact that during our country's modernization process, many Ainu people were discriminated against and were forced to live in poverty," Mr Machimura's statement said. "Today's resolution will turn a new page in Japanese history," Tadashi Kato, director of the Hokkaido Utari Association, told a meeting of a group of politicians. "I sincerely hope you will continue to support the creation of a society with ethnic harmony." By Julian Ryall, 'The Telegraph'. οι πρωτοι κατοικοι της Ιαπωνιας ησαν Αριοι καθαρως ινδοευρωπαϊκης ομοεθνιας........ολιγα υπολειμματα των οποιων ζουν σημερον εις την νησον Χοκαϊντο, με το ονομα Αϊνου. 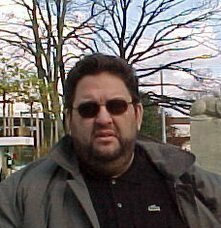 ΠΑΓΚΟΣΜΙΟΣ ΛΑΟΓΡΑΦΙΚΗ ΕΓΚΥΚΛΟΠΑΙΔΙΑ, τομος Β σελ.251. προσεξε στην φωτο. τον πανω δεξια ποσο διαφερει απο τους υπολοιπους μοιαζει Ευρωπαιος!! Συγκινήθηκα με τον ύμνο που ακούγεται. Που μπορώ να βρω παρόμοιους?